Fired FBI Deputy Director Andrew McCabe said on Tuesday that no members of the Gang of Eight congressional leaders “objected” when he informed them in May 2017 that the FBI had opened a counterintelligence investigation into President Donald Trump over his ties to Russia. The initial purpose of the briefing with the Democratic and Republican leaders of the House and Senate as well as the chairmen and ranking members of the House and Senate Intelligence committees “was to let our congressional leadership know what exactly what we’d been doing” in the wake of Comey’s firing, McCabe said. The former deputy director’s comments come as he’s embarked on a press tour to promote a new tell-all book from his time serving under Trump, before he was fired from the FBI for allegedly being untruthful with investigators about his interactions with reporters. Allies of the president’s have seized on McCabe’s public confirmation that he opened an counterintelligence investigation, as well as a criminal obstruction of justice investigation, to point to a conspiracy against the president. They’ve argued that McCabe’s revelations, if true, underscore Trump’s accusations of bias within the agencies investigating his campaign. On Tuesday, McCabe disputed the insinuation made by some of his critics that he had made the decision to investigate Trump on his own, arguing that the decision was not a spurious one. The former FBI deputy director warned that just because investigations had been opened it did not mean the agency had drawn any conclusions about them thus far. In an excerpt of the book published last week, McCabe described the Gang of Eight briefing, which then-deputy Attorney General Rod Rosenstein also attended, as the moment when the appointment of a special counsel to oversee the Russia investigation was first announced. The office of Senate Intelligence Ranking Member Mark Warner (D-Va.) declined to comment on McCabe’s characterization of the briefing, and spokespeople for other lawmakers who were present in the briefing did not immediately return requests for comment. 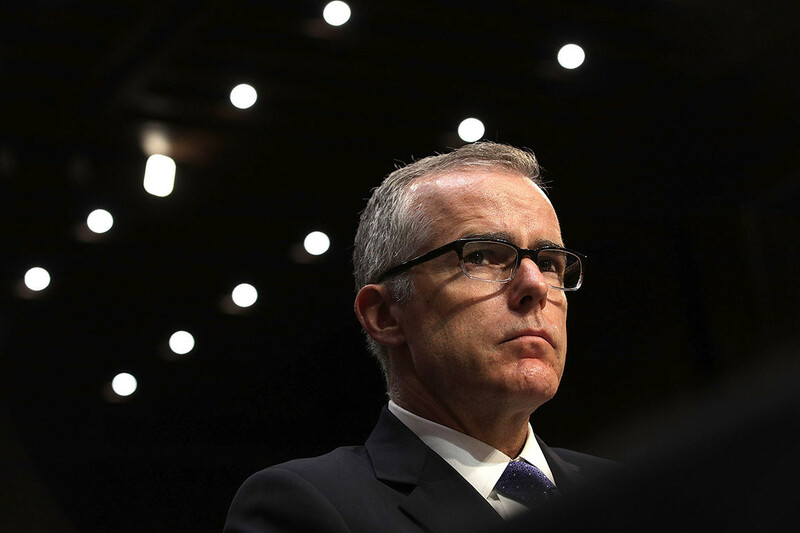 McCabe on Tuesday also defended his dismissal from the FBI, which came last year just hours before he was set to retire. Then-Attorney General Jeff Sessions cited a DOJ inspector general’s report that found McCabe was dishonest multiple times about leaking information about an investigation to a reporter, which many have argued undermines McCabe’s credibility. The former deputy director said he plans to sue over his dismissal, and claimed Tuesday the report was skewed to justify political motives. He claimed that prior to the watchdog report, he had enjoyed a long and blemish-free tenure at the FBI. He declined to go into further detail, citing his pending lawsuit.